After finishing sixth overall last year, despite having half of his season curtailed by injury, ‘Brooky’ has already started 2017 in encouraging style with a strong performance at Brands Hatch for Team Arkoni Racing. “I’m aiming to be champion this year. Simple as,” explained Brooky “and I feel I have it in me after a number of podium finishes over the past three years. 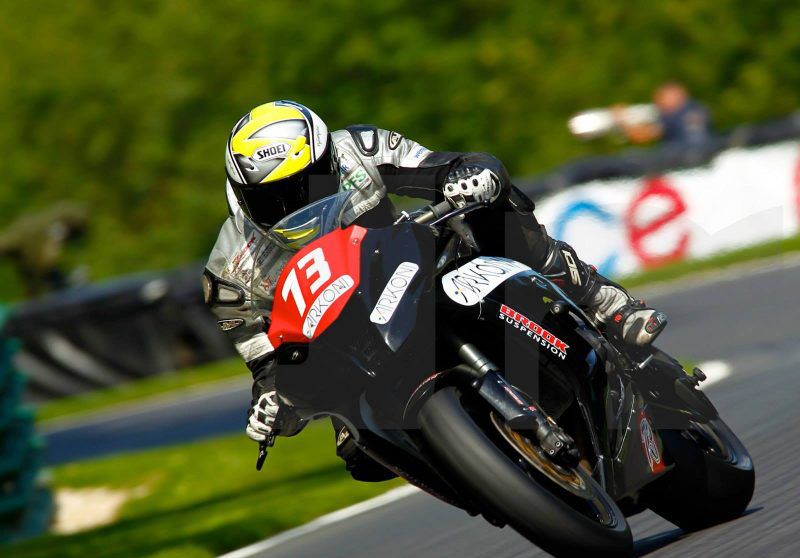 “I’ve replaced my Kawasaki ZX10R with a BMW S1000RR which offers a number of advantages in terms of race performance and it certainly did the business at Brands Hatch despite a couple of teething problems. “I would also like to thank Farrar Joinery, Mobile Smart Repairs Bradford, Moto Works and OC Graphics for their ongoing support,” added ‘Brooky’. Mark Prentice, MD and founder of Arkoni, commented: “Sponsoring Brooky is a great fit for Arkoni with many of our staff taking a close interest in his fortunes. We are both very much on the up and fully intend to stay in the fast lane! “Brooky’s performances have improved significantly over the past three years and he’s in with a shout of top spot this season,” added Mark.